A Lipoma is a benign (non-cancerous) tumor composed of fatty tissue, usually affecting adults between 40 to 60 years of age. They are generally painless and soft to touch. Their size varies from under 1 cm to sizes greater than 8 cm. 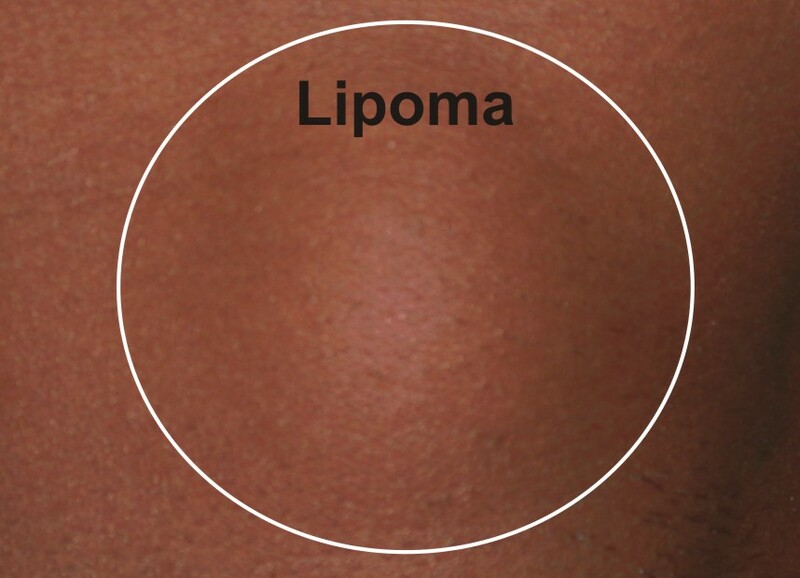 Superficial Subcutaneous lipoma: The most common type of lipoma rests just below the surface of the skin occurring commonly on the forearm, trunk and thighs. Since lipomas are made up of fat, they may occur anywhere on the body where fat is found. Neural fibrolipoma: Here fatty infiltration of the nerve leads to its compression causing neurological symptoms. Angiolipoma: These are painful, subcutaneous lipomas containing an unusually large number of vascular channels. Intramuscular Lipomas: They are commonly found deep within the large muscles of the extremities. Spindle cell lipomas: These are slow-growing subcutaneous lipomas usually found on the back, neck, and shoulders of older men. The cause of lipomas is not known, but genetic factors may play a role. Reducing size: Small lipomas (less than1cm) can be significantly reduced in size with homeopathy, especially when treated early. Larger lipomas have also shown to respond to the medicines, however not all cases respond favorably and is not recommended in such cases. Preventing formation of new lipomas: Individuals prone to multiple lipomas and in cases where lipomas tend to gradually increase in size should surely opt for a course of homeopathy. Most cases treated at HomeoConsult RD have responded favorably to the treatment prescribed. Relieving pain and discomfort associated with some forms of lipoma: Occasionally lipomas can cause neurological discomfort and pain which can be relieved homeopathically. Surgery should be considered as the last resort and is usually for cosmetic reasons. However, do note that lipomas can reoccur at the site of excision and may continue to develop at new locations. It is therefore advisable to first try homeopathy if the condition is within its scope, as homeopathy is completely non-invasive and free of any side effects. If you or someone you know suffers from lipomas do not ignore it. Earlier your treat it, better are the results. You may also visit us in person or opt for our online treatment as mentioned below.